What if the world outside was real ? Nighthawk, what did you do ? Nighthawk, what did you say ? And how can we lower the tone ? Nighthawks (1942) by Edward Hopper. There was a period when seemingly almost every college dormitory in the country had on its walls a poster of Hopper's Nighthawks, and it is easy to understand its appeal. 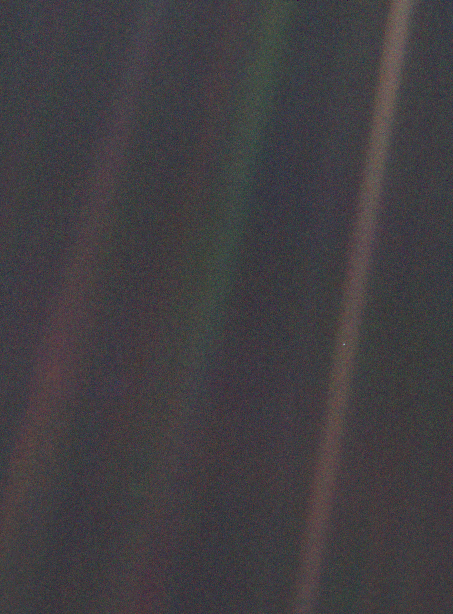 This is not simply an image of big-city loneliness, but of existential loneliness. Nighthawks is a composition of contrasts held in balance. The strong horizontal thrust of the canvas is held in check by vertical elements such as the upright coffee urns and mullions. The artificial glow within the diner, emanating from the flourescent lights, provides a foil to the darkness of the streetscape. Hopper's composition suggests a narrative, but the canvas is full of ambiguities. 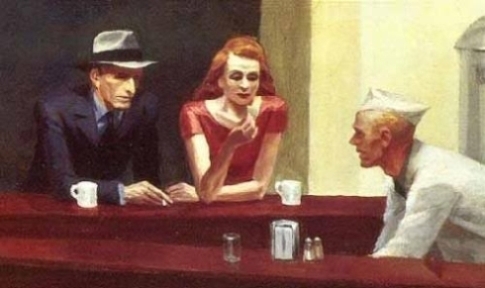 It is unclear whether the man and woman (modelled by Hopper and his wife Jo) randonly met at the diner or were previous acquaintances that came together. Either way, their body languange suggests some degree of tension between them. An early preparatory drawing depicts the other customer wearing a police officer's uniform; only when Hopper turned to the canvas did he opt instead for the nondescript business suit. This accomplished b-side is based on Hopper's most cinematic work, and one of the most famous images in 20th century art. Hopper began painting Nighthawks immediately after the attack on Pearl Harbor, a pre-emptive military strike on the U.S. Pacific Fleet base by the Empire of Japan's Imperial Japanese Navy, on the morning of Sunday 7th December 1941. 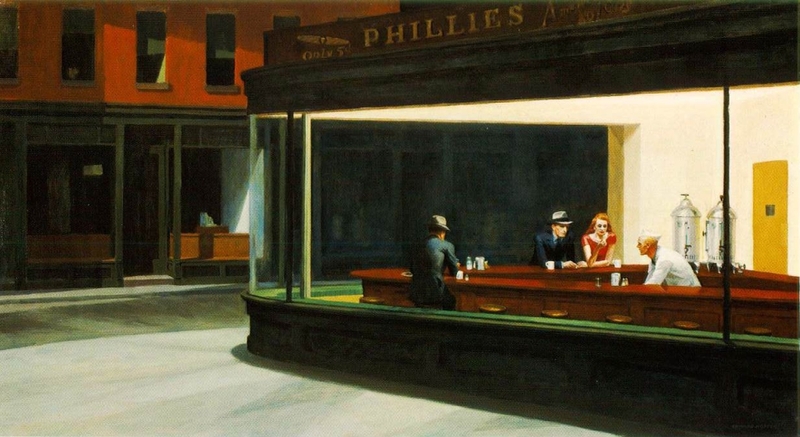 Nighthawks is an icon of American culture, reworked and parodied countless times in popular culture. Its influence is far reaching; it is, for example, credited by Ridley Scott as an influence on the design and mood of the 1982 science fiction film, Blade Runner: "I was constantly waving a reproduction of this painting under the noses of the production team to illustrate the look and mood I was after. "* Nighthawks reflects Hopper's cognisance of 1930s film themes and subject matter, particularly the detective and gangster genres, and it both parallels and anticipates the stylistic development of film noir in the early 1940s. The work was inspired by a diner on a wedge-shaped corner of New York's Greenwich Avenue in Hopper’s neighbourhood, but there are hints of other places and paintings as well. The brick buildings across the street echo those in 'Early Sunday Morning' (1930); the juxtaposition of a brightly lit commercial interior with a dark street - its pavement marked by spiky shadows - is reminiscent of Hopper's 1927 painting, 'Drug Store.' Fluorescent lights had just come into use in the early 1940s, and the all-night diner emits an eerie glow, like a beacon on the dark street corner. The viewer, drawn to the light, is shut out from the scene by a seamless wedge of glass, and the entrapment of the nighthawks is further enhanced by there being no indication of an entrance to the diner. The four anonymous and uncommunicative figures seem as separate and remote from the viewer as they are from one another. This night view of a deserted street corner and a harshly illuminated diner plays with interior and exterior worlds, light and shade. 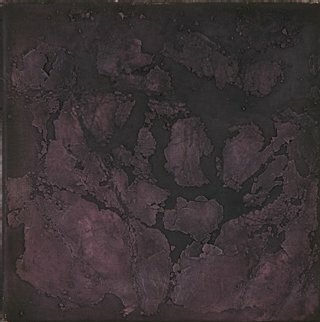 The walls behind the seated figures melt into a bruised, blue empty void. A black stripe of a window frame is isolated against a yellow expanse. The panoramic windows permit a nearly seamless flow between the street and cafe scenes. Less transparent are the appearances and psyches of the isolated diners, whose rigid expressions and postures can only hint at unfolding dramas. Hopper's paintings evoke aftermaths or preludes, moments when things have just happened or are just about to happen in lives that he deliberately leaves inscrutable. A pervasive feeling of emptiness, transitoriness and rootlessness shoots through the work. The diner almost takes the form of an aquarium, capturing the oceanic emptiness of modern American existence. Top left: A breakdown , or void, in communication is a recurring motif of Hopper's work. The titles of two John Squire artworks from 2006 are of this nature: '404' (mixed media on board, 12" x 12", top middle) and 'Dead Letter Office' (mixed media on board, 23.5" x 11.5", top right). The '404' or 'Not Found' error message is a HTTP standard response code, indicating that the client was able to communicate with the server, but the server could not find what was requested. 404 errors should not be confused with 'server not found' or similar errors, in which a connection to the destination server could not be made at all. A 404 error indicates that the requested resource may be available again in the future. John Squire's answer to Question 3 of this 'Modern Painters' (March 2010) feature reveals that an increasing amount of his time is spent online. 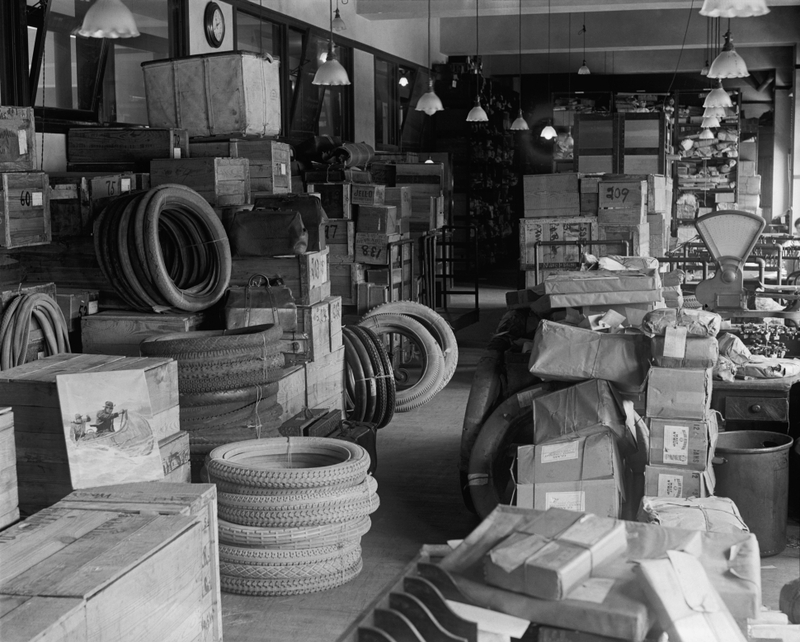 Second row: Dead letter office, probably in Washington, D.C., September 1922. The United States Postal Service started a dead letter office in 1825 to deal with undeliverable mail. Where the rightful owners cannot be identified, the correspondence is destroyed to protect customer privacy; enclosed items of value are removed, to be sold at auction. These facilities are now known as mail recovery centers (MRC). Other former names include dead letter branch and dead parcel branch. Bottom row: "And wake to the dust in your sunbeam..." Musically, Nighthawks cheekily borrows from Ian Brown's space-themed debut single, My Star. Admittedly lagging in the wake of Brown's career ascent, Squire sees only the dust of Ian's sunbeam. 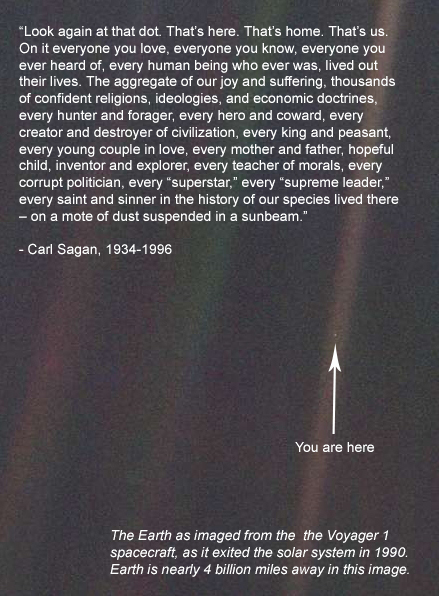 Were we to flip the above Voyager image on to a horizontal plane, such that it forms track marks, this could be presented as Squire waking to the motorcycle dust of Ian's Sunbeam. 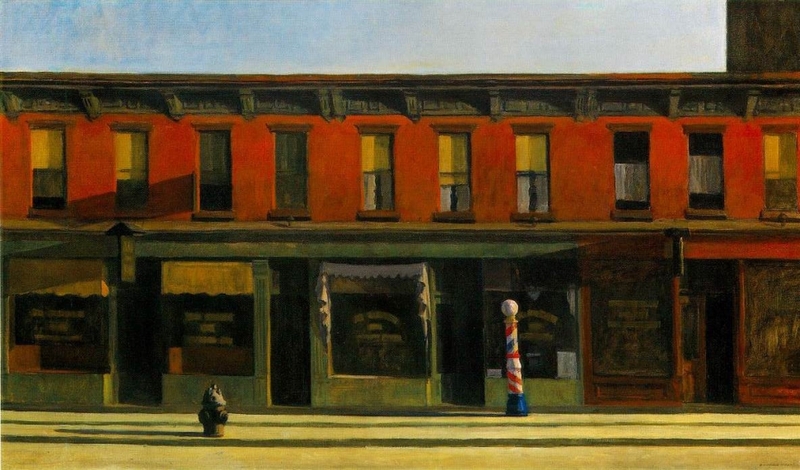 New York set the stage for many of Hopper's most iconic paintings. Just as in New England where he shunned dominant artistic motifs, Hopper disregarded many Jazz Age subjects - soaring skyscrapers, bustling streets, and industrial machinery - favoured by American modernists. Indeed, Hopper's New York is at once instantly recognizable and strangely unfamiliar: streets are devoid of pedestrians, stores are without customers, and even automats - modern restaurants in which coin-operated, food-dispensing machines replaced waiters - lack signs of anything automatic. And though New York architecture rose to great new heights, Hopper favored instead a horizontal compositional format more closely linked to landscape traditions. He also avoided signs of the grit, noise, and commotion of urban life, imbuing his portrayals of the city with an overwhelming silence and disquieting stillness. The chorus of Nighthawks asks, "how can we lower the tone ?". The diner is given a feeling of warmth by Hopper's use of light and colour, in contrast to the dark subdued tones of the "world outside"; the nighthawks are locked in their own world - we see no entrance or exit - and thus Squire has the nighthawks imagining if "the world outside is real." Not only is no exit from the diner visible, but there is also no apparent way out of the bar area, as the three walls of the counter form a triangle which traps the attendant. However, from the diaries of Edward Hopper's wife, we learn that the artist described this work as a painting of "three characters." This leads one to imagine that the man behind the counter, though imprisoned in the triangle, is in fact free. He has a job, a home, he can come and go; he can look at the customers with a half-smile. It is the customers who are the nighthawks. They are held, exposed and vulnerable, and sit with their shoulders hunched defensively. The close proximity of the man and woman's hands perhaps suggests that they are a couple, but they are a couple so lost in misery that they cannot communicate; they have nothing to offer each other. The noses of these two nighthawks resemble beaks. The loneliness of the man with his back to us is accentuated by the presence of this couple. The three nighthawks (the name is Hopper's take on the term 'Night Owl', used to describe someone who stays up particularly late) of this picture, instead of being free in the sky, are instead shut in, dazed and miserable, with their heads constantly banging against the glass of the world's callousness. Speaking to The Sunday Mail in 2004, Squire described the appeal of Hopper's work: "There's something disturbing about his characters. The expressions on their faces seem quite haunted... as if they've lived a bit." 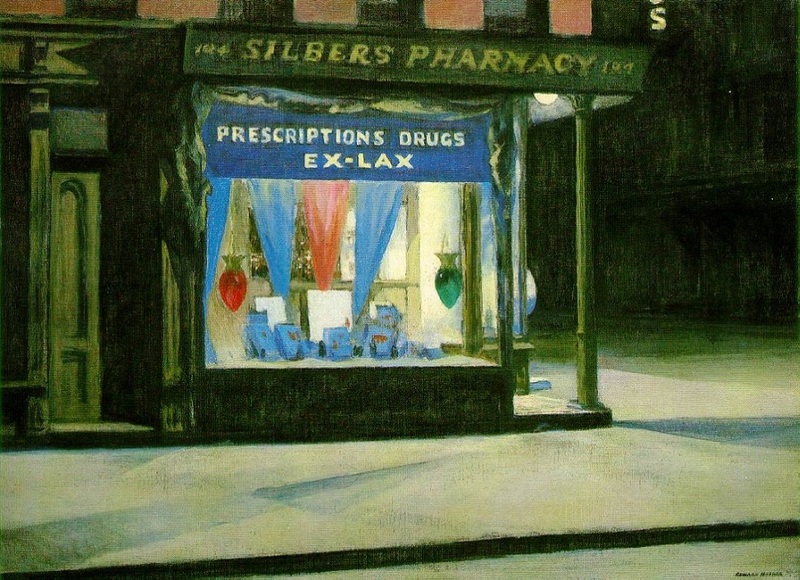 Top: Drug Store (1927) by Edward Hopper. Bottom: Early Sunday Morning (1930) by Edward Hopper. With his appropriation of cultural touchstones like signs, storefronts, and window shades, Hopper was in some ways a precursor to pop-artists such as Andy Warhol. Abstract artists such as Mark Rothko and Willem de Kooning admired Hopper greatly, which is understandable, given how heavily Hopper's paintings depend on geometric patterns - rectangles of windows, trapezoids of sunlight. This essay investigates the biblical themes of the track (which opens, perhaps not by chance, with the title of the Cole Porter Depression-era themed popular song). 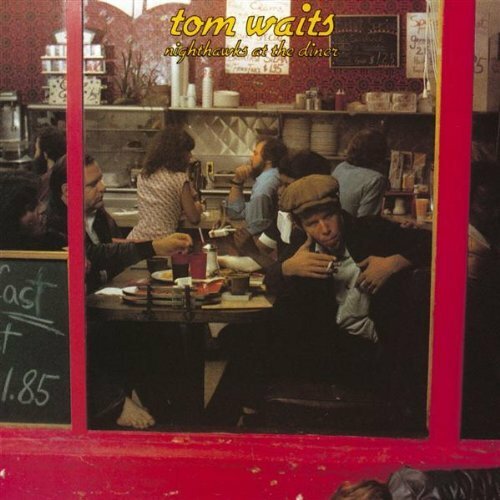 Hopper's Nighthawks also provided the inspiration for 'Nighthawks at the Diner', a 1975 live album by Tom Waits. * Sammon, Paul M.. Future Noir: the Making of Blade Runner (New York: HarperPrism, 1996), p. 74.